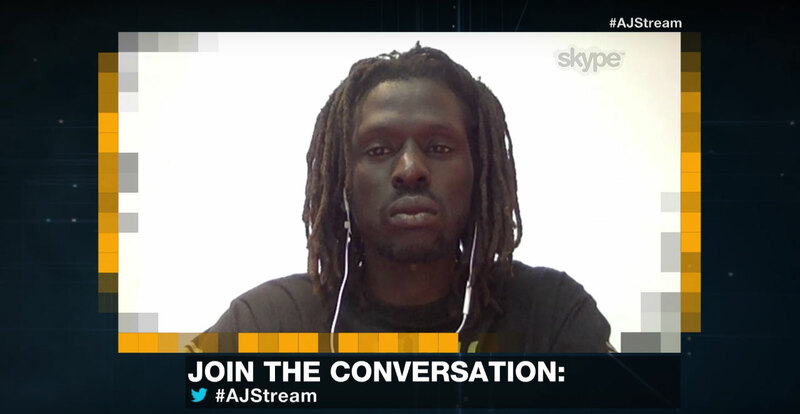 Last night on The Stream on Al Jazeera English, award-winning South Sudanese singer and peace activist Emmanuel Jal called on both president Salva Kiir and first vice president Riek Machar to step down. Jal criticised the recent arrest of Alfred Taban, the editor-in-chief of the Juba Monitor newspaper, after he published a column calling for Kiir and Machar to step down. Jal also reminded viewers that he was a refugee in Canada because he had been beaten unconscious by police in 2012 in South Sudan, where he had wanted to settle and host a peace concert. Both Jal and Brian Adeba, associate director of policy at Enough Project, called for an intervention from a third force.